Oh, dear friends, June 2018 has been – maybe – the busiest June ever in our over six decade history! It seems to be true that if God’s timing (along with His work and His way) is perfect – and it is – then why wouldn’t it come done to the last second. And, we must confess – that just drives our fallen natures absolutely crazy! Nevertheless, we thank Him and we praise Him for His faithfulness to bear unto us testimony after testimony of both His presence and His power. In a very real way, His faithfulness to us is definitely being demonstrated in all of your prayers and gifts. We constantly thank and praise Him for all of you. Our new kitchen is just beautiful! The shower house and rest rooms look wonderful as well. Wow! 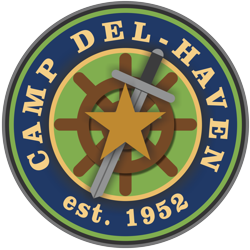 We really don’t have words to adequately express how grateful we are to the Lord for everyone that has had an active role in everything that has been done for Del-Haven thus far this year. May God richly bless you all! And, special recognition definitely goes to all the men of the First Baptist Church of Oak Grove for all that they have done! And what a joy it has been to be around them when they were working. Please earnestly pray with us for the Lord’s richest blessings upon them and their families! Our first camp went just great! The work of the Lord was noticeably present during the course of the week. We are, at this moment, getting geared up for our first older girls camp week. Please remember to season our staff and their efforts for the Lord with your prayers as well. We always stand by the grace of faith upon the truth of Jn.15:7! One final matter needs our earnest urgent prayer! We need some mature, level headed young men (16yr. old, or older) that are willing to serve on our staff for our two 9 to 12 year old boys camps. That would be for the dates of July 9 through 12 – and July 30 through August 2. They just need to patiently supervise at least four to five campers through our camp program. Otherwise we will have to turn away some little boys from being able to come to camp – and we don’t want to do that! Please pray with us regarding this urgent matter.